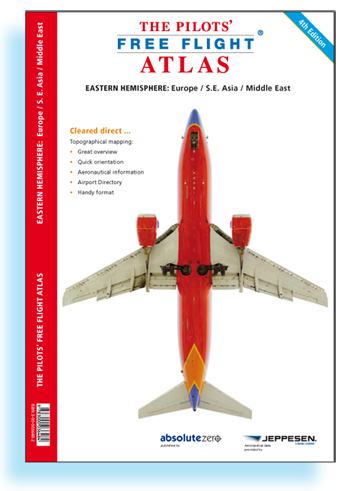 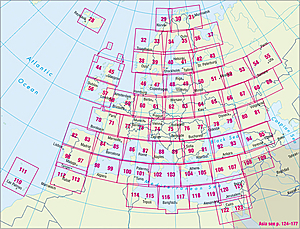 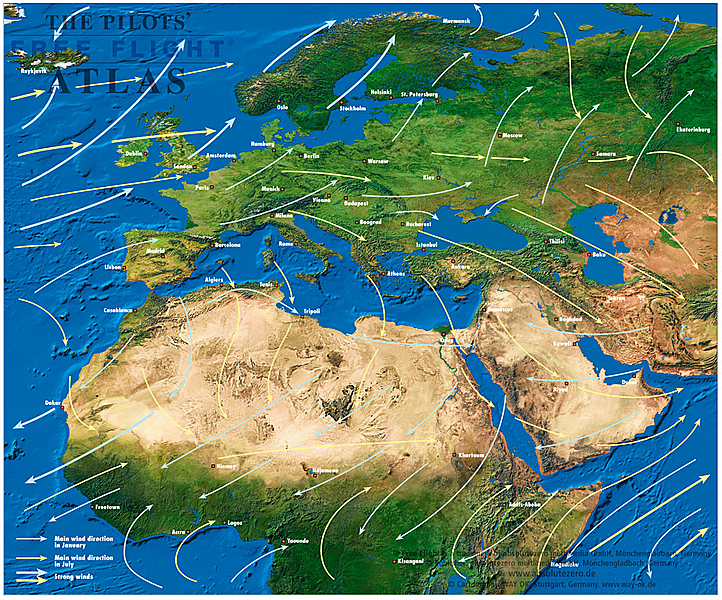 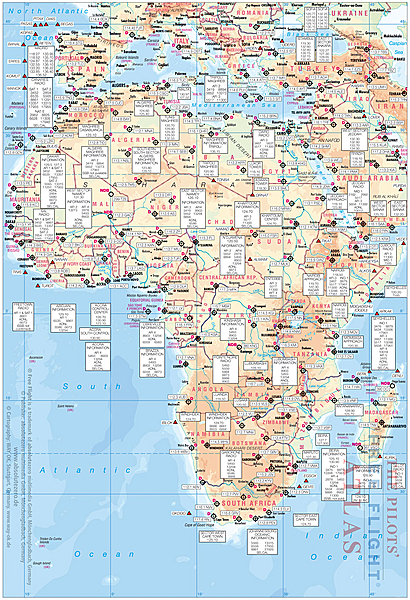 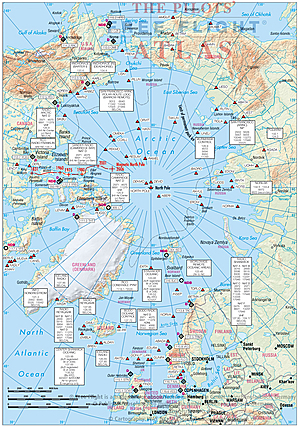 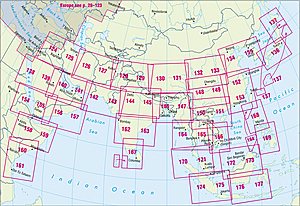 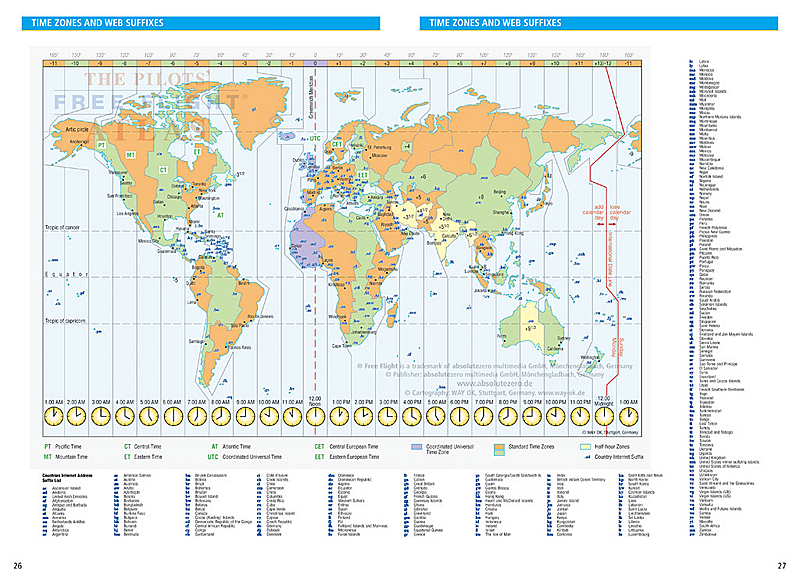 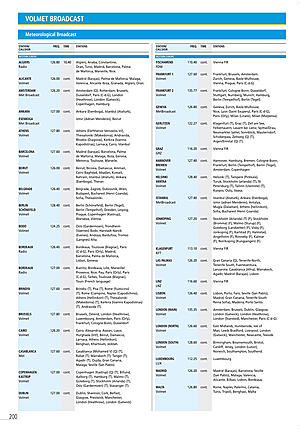 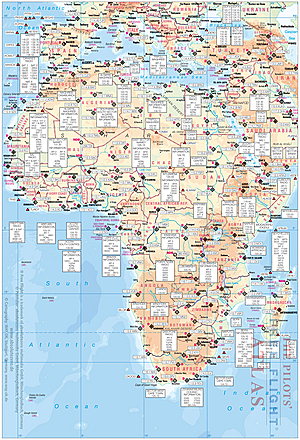 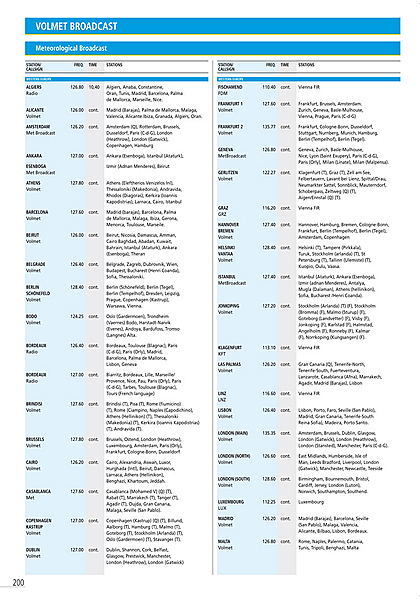 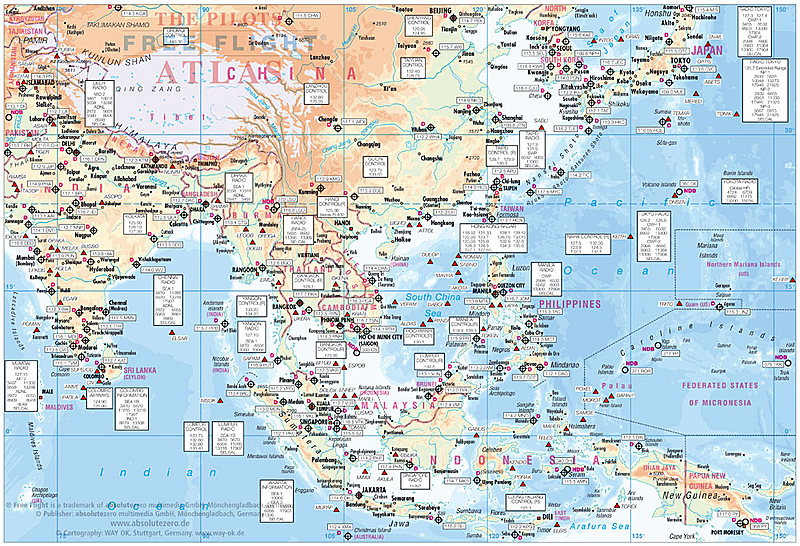 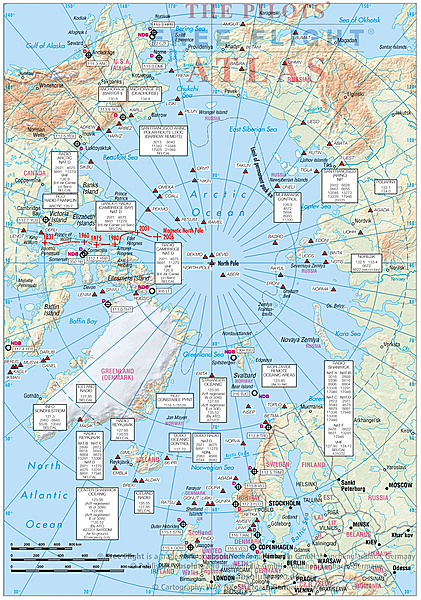 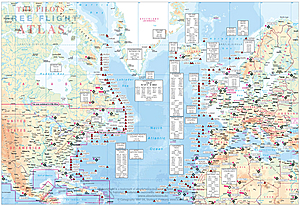 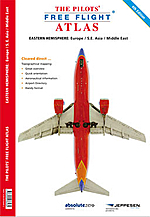 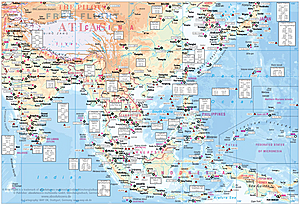 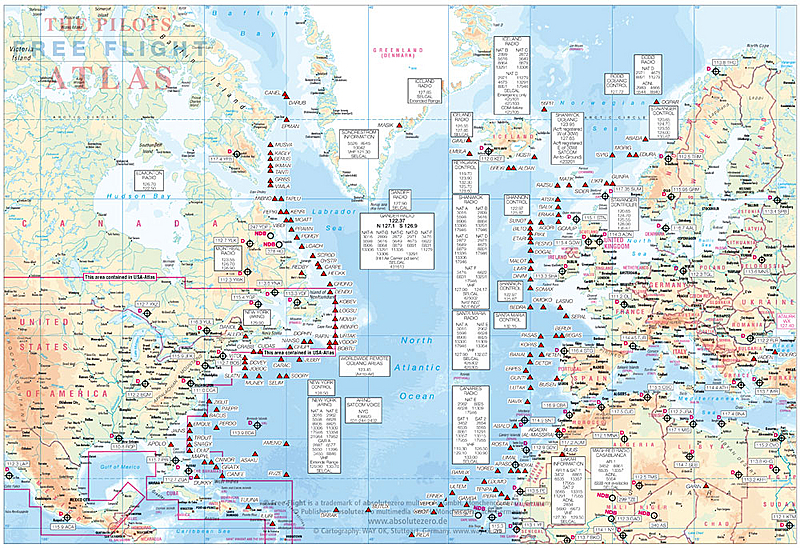 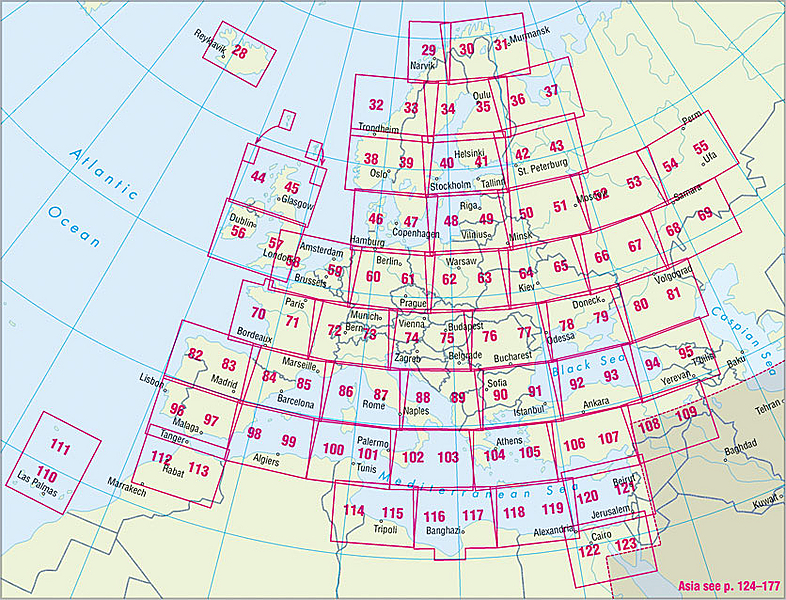 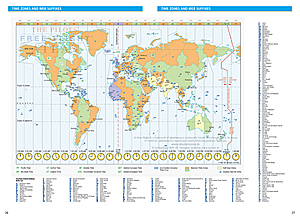 JNC scale, topographical charts are used showing over 4,500 airports Waypoints, VOR/DME, NDB´s and special use airspace are included, plus weather frequencies, points of interest, landmarks, airport-directory with ICAO-codes, railways, rivers, major highways, just to name a few. 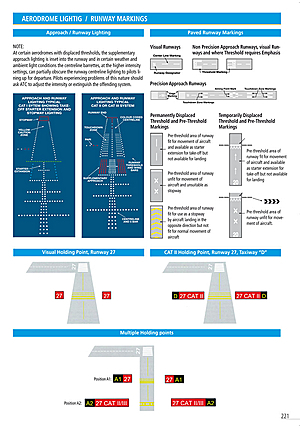 Airports are colour coded by runway length and surface. 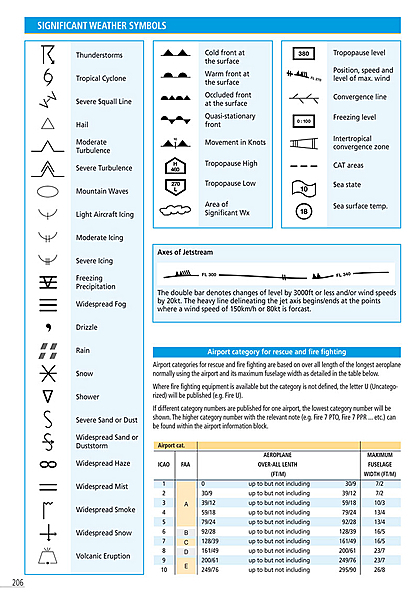 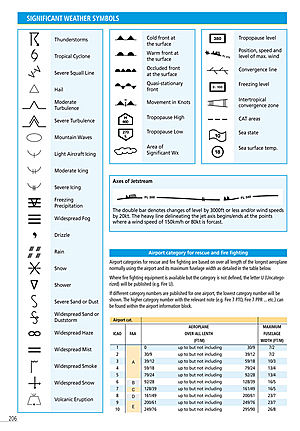 International/ regional Aerodromes are coded by symbol shape. 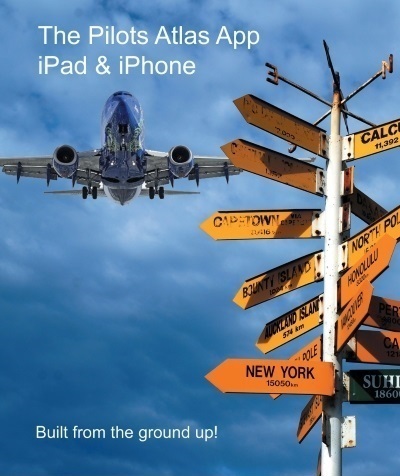 Pilots now have the ability to point out objects on the ground or know immediately where they are in relation to surrounding airports or points of interest: an all-in-one source of information for pre-flight or during flight. 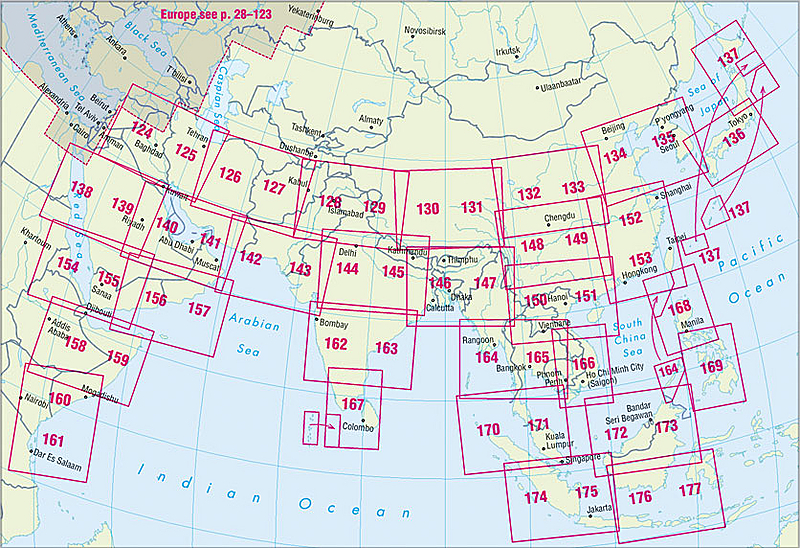 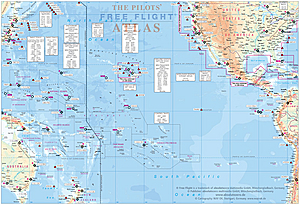 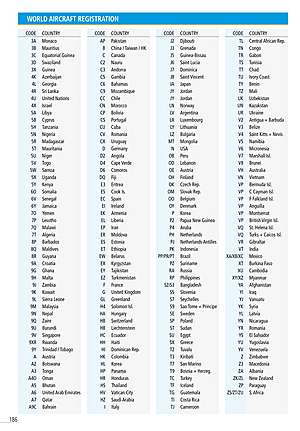 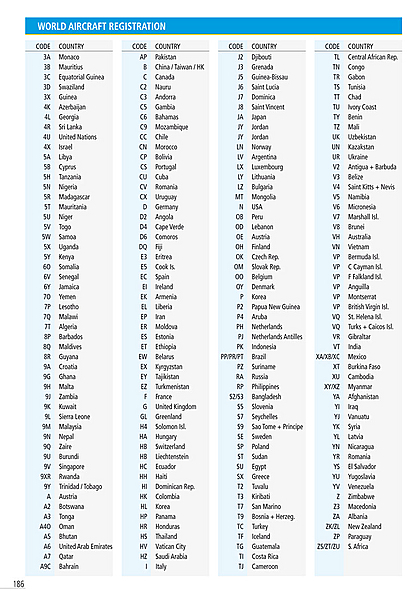 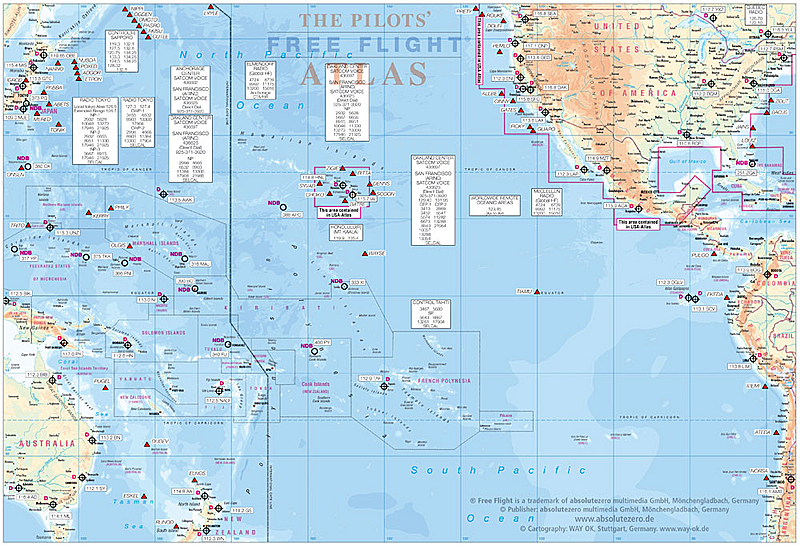 • with ICAO-codes, waypoints, VOR's, NDB's, etc.